T he ballots for my family have been completed. I am taking them to the Elections Office this morning. I feel powerful when I vote! 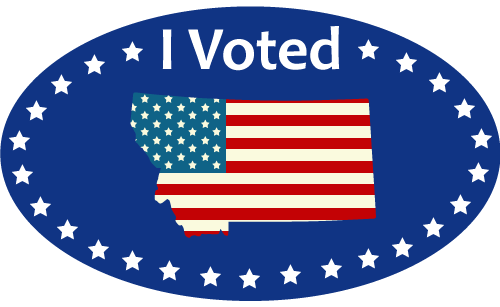 Tomorrow (June 5) is Primary Election Day in Montana. Besides Montana, there are primaries in California, New Jersey, Iowa, and New Mexico. Don’t forget to vote! You can still register to vote in Montana! Click HERE for more information. Thanks to all those who are running for public office. Good luck! Follow me on Twitter (@TheWesternWord) for updates throughout election night. This entry was posted in Campaign 2018, Elections, Voting and tagged Montana, Primary Election Day, Voting by Jackie M. (Mike) Brown. Bookmark the permalink.